Georgia Rep. John Lewis’ absence at the inauguration of Donald Trump on Friday will mark the second time he has skipped an inauguration since he was elected to Congress 30 years ago. President-elect Trump is not, in Lewis’ view a “legitimate president,” he told NBC’s Chuck Todd last week, a comment which aroused a predictable response from Mr. Trump -- a trio of angry tweets. 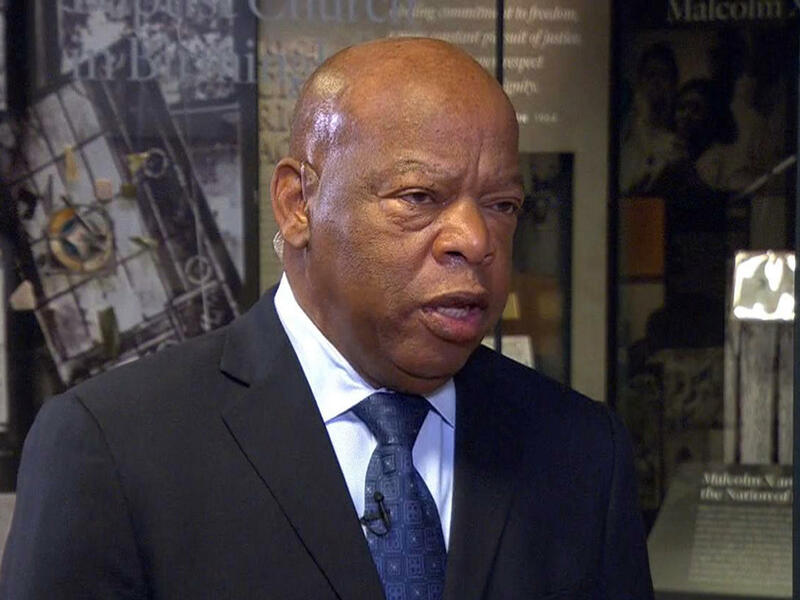 At the time, Lewis said it would be the first time he’d be skipping an inauguration as a congressman, but in fact, there was another missed inauguration -- also a protest -- and that was the 2001 swearing in of President George W. Bush. In the case of Mr. Trump’s election, Lewis is troubled by the Russian meddling in the U.S. election. Democrats and Republicans alike were quick to defend Lewis’ civil rights record as clearly having produced both action and results. And native Atlantans bristled at the description of their city. Like practically any U.S. city, Atlanta has poverty, but Lewis also represents Atlanta’s wealthy enclaves -- according to the Atlanta Journal Constitution, homes run about $500,000 - $1,000,000 in the most exclusive neighborhoods in Lewis’ district. CBS News’ Steve Chaggaris and Walt Cronkite contributed to this report.